When it comes to football season there is always a mad rush to order those supplies that have gone missing from the supply shed or the equipment locker. In most cases items are in stock all the time and easy to get quickly but there is one item that sells out every year you may be forgetting about. Face Mask removers. You need to have a face mask remover handy just in case there is any injuries on the field and year after year these simple tools sell out prior to football season. Our suggestion is to order one now to make sure you’re all set for the upcoming season. There are two models to choose from the Trainers Angel or the FMXTRACTOR®. 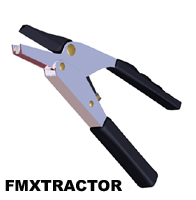 Either model will get the job done but the FMXTRACTOR® will work on any face mask on any helmet and uses a ratcheting system to take masks off easy and within 30 seconds. 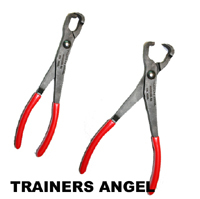 Of course you will pay quite a bit more for that convenience but the tool is fully guaranteed by the manufacturer and designed to last for years making it a safe investment.